If you haven’t had a chance to review it yet, I recommend that you do. The findings are very interesting. Perhaps the most important take-away is that high performing companies clearly understand their buyers, maintain their buyer personas and use the information effectively – beyond content creation. At Imagine, we are firm believers in buyer personas. All of the goals we are striving to meet for our clients (and ourselves) cannot be achieved without a clear understanding of the buyer. Without it, all other demand generation initiatives are doomed. 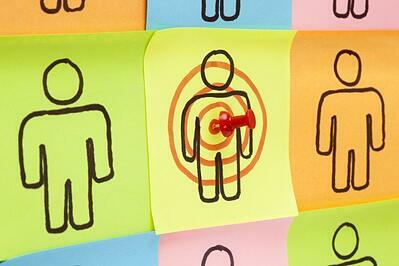 A common belief is that the primary benefit of buyer personas revolves around content creation. It is true that personas have a huge impact on content but they can also be used to improve other areas as well. In the Cintell study, companies who consistently exceed goals use their personas to develop content but also use them for many other things. Here are eight ways - some from the study, some I added - high performing companies are using their buyer personas. As discussed earlier, buyer personas can impact content in many ways. They should be used to guide your blog editorial calendar. Premium content should be developed around them. Website content should be built for them. Videos, podcasts, case studies, landing pages…every piece of content you produce should reflect your buyer personas. And don’t forget about graphics…graphic designers are part of the content development team but often times they are over looked when sharing buyer personas. At Imagine, we have shared our personas with our designers. It is just as important for them to understand who we are trying to be a hero to as it is for our writers. Graphics are a key ingredient in effective content. Last year, Doug wrote a post called The Five Ingredients of a Message that Works. Understanding your buyer personas is a key part of writing those messages. Beyond language selection, buyer personas can help you determine the best approach to your message. According to Doug’s post, the five ingredients are simple, emotional, concrete, contextual and polarizing. Well-defined buyer personas will help you create a message that brings the five ingredients together. Knowing what matters to your prospects, the challenges they are facing and their roles in the buying process will shape your message into one that works. As sales development reps and new sales reps are brought on board, it is important to share your buyer personas with them. Their conversations and interactions with prospects will revolve around the appropriate buyer persona. The manner in which they approach every situation will be influenced by personas. Having a clear understanding of their prospects from the very beginning will impact how successful they can be for the long term. If you haven’t already, make buyer personas part of your training process. Buyer personas can help your new sales team determine the best way to approach a prospect and how to manage the entire process. Personas create a clarity so that when salespeople are developing their strategy and reviewing with managers or cohorts, everyone is using the same language and understands the same things. This enables them to have more success, faster. Customer service and technical support reps probably have more direct contact with customers than anyone else in the organization. They work with customers to help them resolve issues and use your products and services as they were intended. They hear first hand about the things that frustrate them and also about the things they love. Having a clear understanding of the organization’s buyer personas can give them an advantage when talking to customers. Knowing ahead of time – before they ever take a call - who they are, what types of things led them to make the purchase, their fears, goals and concerns can give them insight into how to talk to the customer. Delighting customers through after purchase support can go a long way to building repeat customers and referrals. Make buyer personas an integral part of your training process. The better you get to know your prospects and customers, the better you can provide solutions that matter to them. Sharing your buyer personas with your product development teams can have a significant impact on your organization. When your team knows the problems and issues that are keeping your clients up at night or are preventing them from moving forward, they can put their brains to work to develop products and services that will meet their needs. Most of the guesswork will be removed from the process. They can also use personas to enhance or modify existing products as they learn how and why your personas are using them. As you build processes throughout your company, it is important to understand how each part of it will affect the people involved – especially customers and prospects. If your buyer personas are complete, you can identify and mitigate potential issues before they arise. For example, many manufacturers operate 24/7 and have engineers and maintenance staff on the floor at all times. One of their challenges and main concerns may be dealing with issues that come up during non-regular business hours. If your personas are those engineers and maintenance staff, create your customer/technical support processes to meet their needs. Just like product development can use buyer personas to guide their efforts, CEOs, COOs and CFOs can use them too when creating overall strategy for their organization. Customers should be the primary focus of any organization. Revenue is the positive outcome that results from providing products and services that truly impact the lives of a group of people – your buyer personas. As business leaders work to create strategies that will lead to sustained and profitable revenue growth, where should they begin? Executives at companies that exceed their goals use buyer personas to direct and manage their companies. They place an emphasis on keeping the buyer personas updated as market conditions, technologies and regulations change. They may even go as far as assigning internal resources and a budget to the buyer persona effort. By ensuring they have up-to-date information on their buyers, executives can make better informed decisions as they relate to meeting growth objectives. Buyer personas are a critical part of successful content development but they an also have an impact elsewhere. Incorporate your buyer personas throughout your organization and before you know it, you’ll find yourself in the exceeding expectations group.